This is a ticketed event. Price of admission is $25/person. Click "Buy Now" and please select the number admission tickets you would like to purchase. Can't get enough of yoga? Or, do you need extra motivation to get to a yoga class? 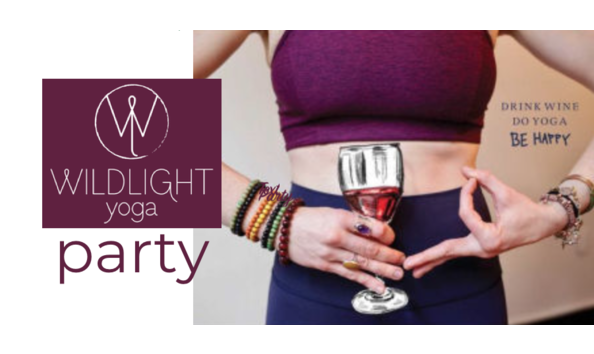 Whatever the case, throw on some comfy clothes and meet up with other Thorp parents at Wildlight Yoga in Portage Park for yoga and drinks. The first hour is led by a certified yoga instructor. Afterward, enjoy some snacks and adult beverages with new friends. Buy your ticket now. "Yoga-na" love it! Location: Wildlight Yoga, 4140 N. Milwaukee Ave.